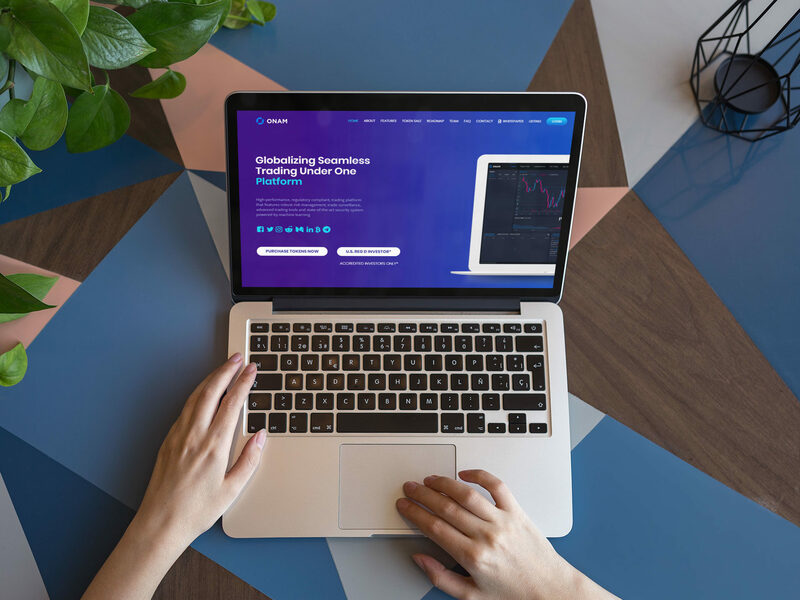 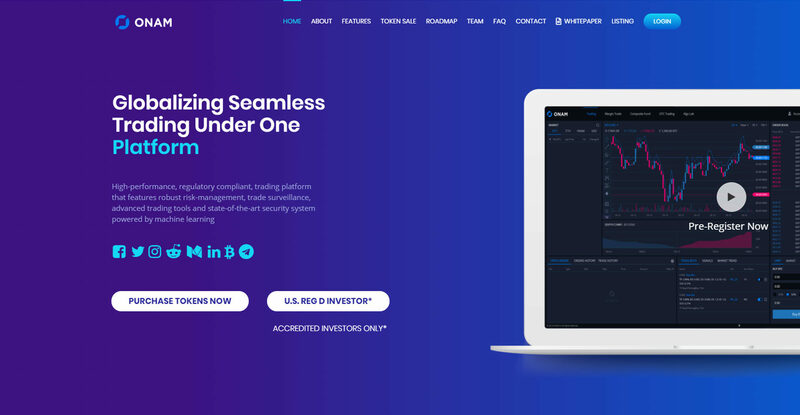 ONAM introduces a fully compliant platform, committed to their mission — led by professionals that are ready to take crypto exchanges out of murky waters of non compliance and welcome mass adoption. 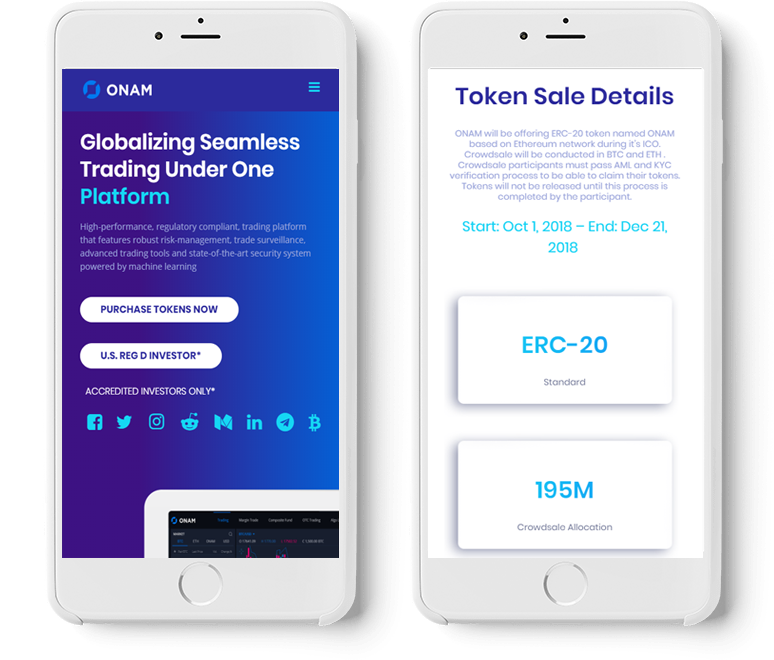 By launching the ONAM exchange, we want to resolve the shortcomings and other issues our competitors are facing and create scalable, and transparent exchange that’s able to handle future mass adoption. 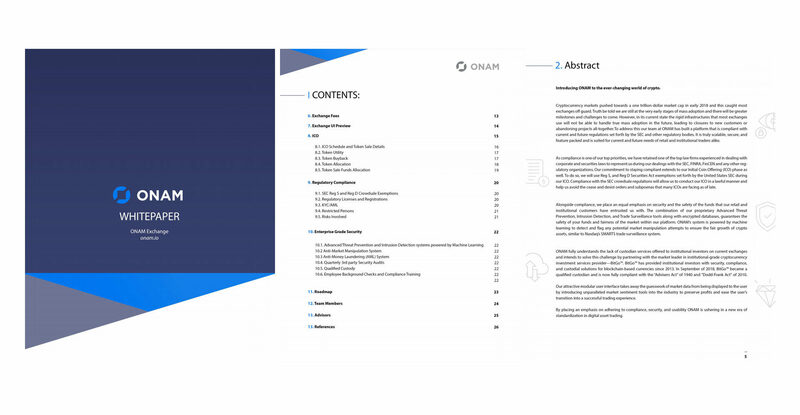 Przygotowanie i realizacja strony internetowej, przygotowanie elementów identyfikacji i szaty graficznej whitepaper.